Jodi Groenheide recently graduated from the University of Southern Mississippi with a Masters of Music in Percussion Performance where she studied with Dr. John Wooton (she also studied flute with Brazilian flutist Dr. Danilo Mezzadri). She completed her Bachelor of Music in Flute and Percussion Performance at the University of Lethbridge where she studied with Adam Mason (percussion) and Sarah Gieck (flute). Jodi’s primary creative outlet, along with her husband, Matt, is the jamani duo. The duo plays a fun and energetic assortment of music on an impressive collection of instruments from around the world, including Caribbean steel pan, flute, vibraphone, hand drums, and more. Jodi and Matt’s unique sound draws on traditions from world, classical, popular, and jazz music to create something entirely new and infectiously groovy! Jodi has been a member of the University of Lethbridge “Global Drums” Percussion Ensemble since 2005 and performs with the group regularly. In addition to performing in Lethbridge and throughout Alberta, she has also performed with the ensemble in Florida, Japan, Hawaii, England, the Netherlands, and Trinidad. Her own endeavors have also given her the chance to study and/or perform in Albania, Germany, and North Carolina. One of Jodi’s favorite places to play is on a sunny street corner – she loves to see the surprise and joy on people’s faces when they see her steel pan, and she happily stops to explain her instrument time and time again. 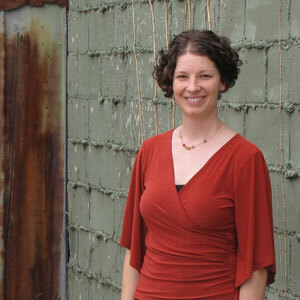 Jodi teaches flute, Kindermusik, and percussion, including marimba, steel pan, and world percussion. Instructor for various Play On ensembles, as well as Solo flute and steel pan.